With just a few days remaining before the BuyPlaya 5K Spring Race, organizers, parents and local business owners are kicking into high gear for this exciting annual fundraising event. 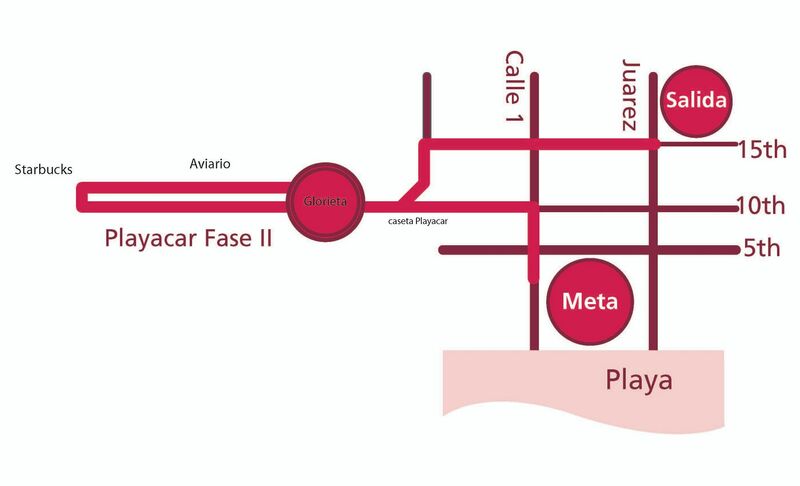 On March 20 at 7:45am, participants will run, walk or stroll the 5 kilometer course leaving from the Parque Leona Vicario, making a loop through the hotel zone in Playacar and finishing in the historical Parque Fundadores on the shores of the Caribbean. “In its inaugural year, the ‘Run for Ak Lu’um’ drew over 100 participants. This year, the response has been even more enthusiastic!” reports Sandra Mancilla, Ak Lu’um parent and member of the race organizing committee. “The support from the community for the school has been remarkable. So many people have offered to donate prizes for the runners!” Ak Lu'um is Mexico’s first ecological school and an ambitious undertaking. Set on a self sustaining campus in the jungle outside of the city of Playa del Carmen, Ak Lu’um is successfully integrating education and ecological responsibility. The non for profit school has been a labor of love for the teachers, administrators and parents since its inception in 2006. Recently, during the COP16 Summit in Cancun, the small school made a splash in international headlines for its ‘Family Eco-Challenge’, a first of its kind event in Mexico. Local businesses have been very generous with their support of this school and the annual race. BuyPlaya Real Estate Advisors, title sponsor for the race, has been joined this year by Ink Me, a printing company in Playa del Carmen, LocoGringo.com and IntheRoo.com, two of the most reputable online sources of information about Playa del Carmen and the Riviera Maya. Race support and prize donations have been provided by Abyss Dive Center, Agua Paraiso, Bauer Compressors, Bicipartes Luisito, Casona, Colegio Mexicano de Masaje, Credito Global, DAC, Estia Greek Restaurant, Flora, Fauna y Cultura, Friends of Ak Lu’um, Hot Baking Co., Ink Me, John Gray’s Place, Dr. Jorge Armenta, Mariposas en la Panza, Rancho Baaxal, Starbucks, Taste of Playa, The Little Mexican Cooking School, Wicky’s Restaurant, Xcaret and Yoga by the Way. Organizers also acknowledge the continuing support of The Municipal Offices of Solidaridad and Condominio Playacar. Participants are asked to appear in the Parque Leona Vicario at 7:15am to register and receive their numbers. For additional race information including a route map and a complete list of sponsors, visit the official webpage http://www.akluum.com/correporakluum . All race proceeds will support daily programs and special activities at Ak Lu’um International School in Playa del Carmen. Ak Lu’um International School is a not for profit Waldorf Initiative founded in 2006 in the jungle close to Playa del Carmen. The school’s mission is to educate, promote sustainability, develop ecological awareness and encourage children from 2 to 12 to reconnect with our earth. Students at Ak Lu’um learn with their minds, hearts and hands. The curriculum is academically challenging and meaningful with many opportunities for hands-on learning and artistic development. Ak Lu’um welcomes children with special needs and seeks to integrate them fully, giving all children an opportunity to better know, understand and love their fellow human beings. The community at Ak Lu’um International School is bilingual (English-Spanish) and culturally rich with over 10 nationalities represented by staff and pupils.